Our typical conception of history is that as time goes on, societies become more progressive. However, there are a lot of flaws in this view: It depicts older, non-Western cultures as less advanced, prevents us from learning from other cultures and seeing problems with our own, and goes against evidence that some earlier societies have been more advanced than we realized. For example, a series of tablets recently uncovered from a Bronze Age settlement in Turkey discuss many different social issues — proving that women's rights is not a new concept in the process. The archaeological dig uncovered 23,500 tablets, some of which dated back as far as 2,000 B.C.E., in Turkey's Anatolian province Kayseri. In addition to cuneiform detailing "everything from women’s rights to the adoption of children to the arrangement of marriage for infants,” the archeologists also dug up writings about commerce and several letters — one of which was from a woman complaining about her mother-in-law, according to Ankara University professor Fikri Kulakoğlu, who led the dig. Some things never change. Though there aren't public translations revealing what exactly these tablets said, I was curious what ideas about women's rights have been around longer than most of us realize. Here are some early pieces of evidence I found suggesting that gender equality is not a new concept — and perhaps patriarchy is not such an old one. 1. 13 female Pharaohs ruled Ancient Egypt. 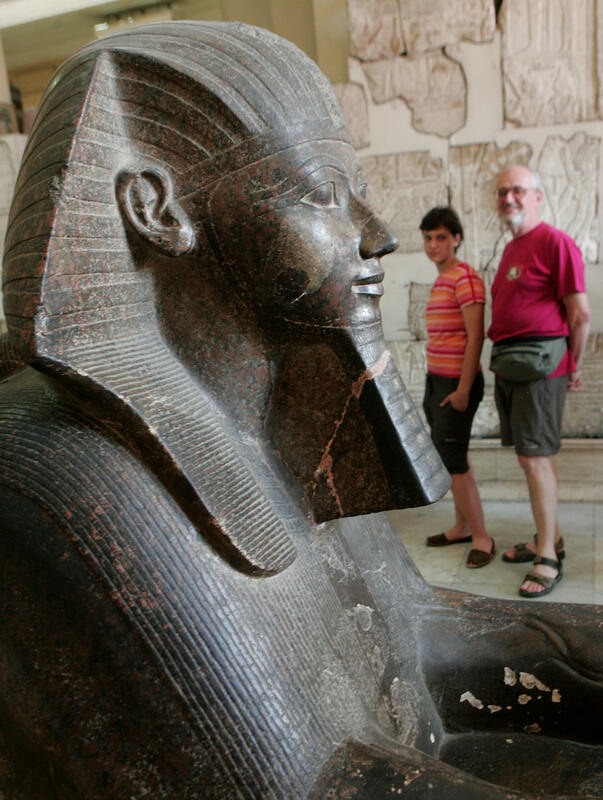 In addition to ancient Egypt's famous last ruler Cleopatra, who became Pharaoh at age 17, Hatshepsut (whose statue is pictured above) was one of ancient Egypt's most popular pharaohs. These women were described by the same word used for kings, and while we're on the topic of gender-inclusive language, the ancient Egyptians used a word meaning "humankind" rather than "mankind." Classics professor Sarah Pomeroy went as far as to tell The Guardian that the female pharaohs of the Ptolemaic dynasty "eliminated gender hierarchy for a brief period in classical antiquity." Meanwhile, we have yet to have a female president. This is awkward. 2. Women enjoyed equality during the Indian Vedic period. During the Vedic period, from about 1500-500 B.C.E., women had equal opportunities for work and education and played a prominent part in their society's religious life, with many important hymns from that period written by women. The treatment of women began to decline after the Islamic invasion of the Mughal Empire. 3. The major ancient civilizations all had goddesses. Monotheism is fairly new; ancient Greek, Roman, Egyptian, Indian, and American civilizations all had goddesses as well as gods. Women's representation in the heavens didn't always translate to representation in politics or the economy, but people were surrounded by depictions of powerful women, and that's more than we can say about the modern mainstream media. 4. Women in ancient Egypt enjoyed equal financial rights and pay. "The formal legal status of Egyptian women (whether unmarried, married, divorced or widowed) was nearly identical with that of Egyptian men," writes scholar Janet H. Johnson. Women held property and retained it when they were married, created wills and split up inheritances, and received equal pay for the same work, which is more than we can say right now.